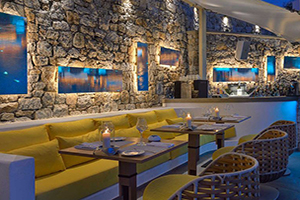 Reborn and amazingly refreshing, the Myconian Korali stands tall and gracefully over the sacred island of Delos and the enchanting Mykonos town; high above and yet so close to the heart of the town. As a member of Relais & Châteaux, Korali reveals its unique beauty at a glance; pure and simple forms along with the finest architectural lines, define a spacious entity with a view over the never-ending Aegean Sea. 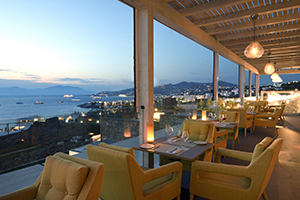 Korali enjoys an exceptional position, a short stroll away from the stone steps of the historical harbor below the windmills, leading down to Little Venice and the most picturesque part of Mykonos. 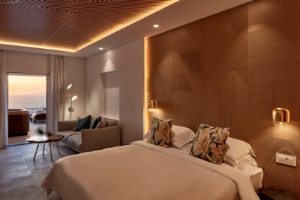 The balconies and terraces of the guestrooms and suites provide superb views over the Aegean, animated by the play of dappled light filtered through pergolas, and the privilege of private pools or Jacuzzis. Baos Restaurant pairs luxury surroundings with the Relais & Châteaux haute cuisine legacy for an impeccable dining experience. 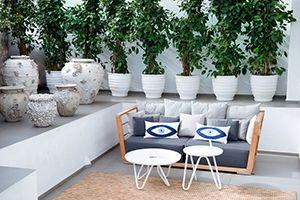 Owing to Korali’s idyllic location and the sense of wellness that pervades all of Mykonos, the Satori Spa takes the sense of well-being to the next level with their expert therapists and treatments. 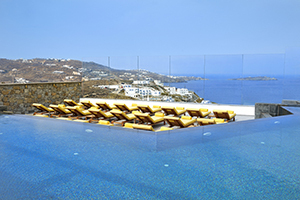 Lavish infinity pool deck designed for comfort, with stylish loungers and deep sofas. 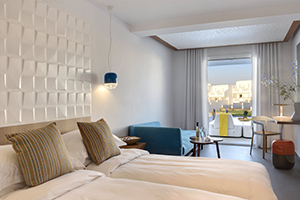 40 guestrooms and suites, offering 13 different categories with sea view, private balcony and luxury in every detail. 1 fine-dining restaurant and Kitrino Bar. 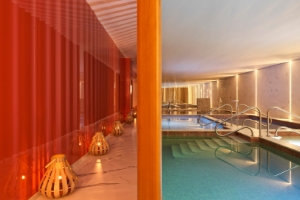 Satori Thalasso Spa features world-renowned Elemis treatments and Ligne St. Barth products. Pre-arrival request and shopping service. Luxurious transfers from and to the airport. Excursions, yacht and helicopter rentals and leisure activities (water sports, horseback riding, etc. ).